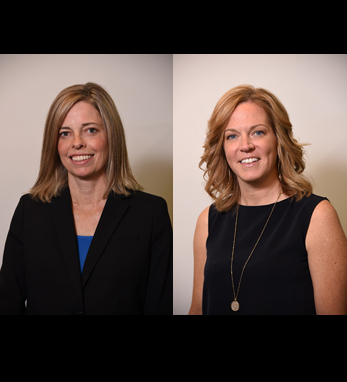 As co-founders of Alliance Homecare, Diane Sirakovsky (left) and Michele Teter (right) are committed to the vision of a future in which the loss of independence need not be a frightening experience for elderly individuals and their loved ones. Both were working as critical care nurses at the New York Columbia Presbyterian University (where they specialized in neurology) when, in 2006, they merged their wisdom as carers with the financial know-how of their now-colleague, Gregory Solomento, who was at the time acting as carer for his own grandmother, Val. Together, they set out on a mission to provide top-quality care for those in need, maintaining a strict code of confidentiality, respect, and integrity. Alliance Homecare, which offers its services to individuals with conditions such as Alzheimer’s, dementia, Parkinson’s, diabetes, and COPD, as well as those in need of palliative end of life care, operates by the “Grandma Rule.” This means that all new carers are hired only after the interviewer has asked themselves whether they would trust this candidate to care for their own grandparent with competence and compassion, recognizing their individuality. In addition to this, the company applies a 360 degree approach to its aid services, including full-service home care delivery, emergency planning services, patient and family advocacy, food delivery programs, regular in-person case manager visits, networking opportunities for families, and physician and specialist coordination. Beyond their shared vocation, Diane and Michele have much in common: both are first-generation Irish Americans born in the Bronx, and both were students of the Dominican College in New York, where they obtained their nursing degrees. Diane’s own parents are natives of County Clare (her maiden name is O’Dea), and her childhood was spent “in a home listening to ceili music, spending Sundays at Gaelic Park and summers in Ireland. My family moved to Ireland in 1984 and I lived in County Kildare. Although we ended up moving back to New York, it is a cherished memory for me.” She and her husband Henry continue to live there with their children, Ella Margaret, Tess Doran, and Henry John. Michele, Alliance’s director of patient services, works with doctors and families to develop an appropriate care plan specific to the patient’s needs and is spearheading the initiative to incorporate tablet computers into the home life of all Alliance clients to better connect them with their families, doctors, and care managers. Michele, whose father played hurling for Kilkenny, spent every summer in Ireland and every Sunday in the Bronx in Gaelic Park. Her paternal Leahy family comes from County Kilkenny, while her maternal ancestors, the Tevnans, are rooted in Galway. “I have been to 13 countries, and Ireland is by far the most beautiful to me,” she says. “It is important to me that my children know where their grandparents were from and visit often.” She and her husband Brian have twin boys, Jude Martin and Rory Brian.